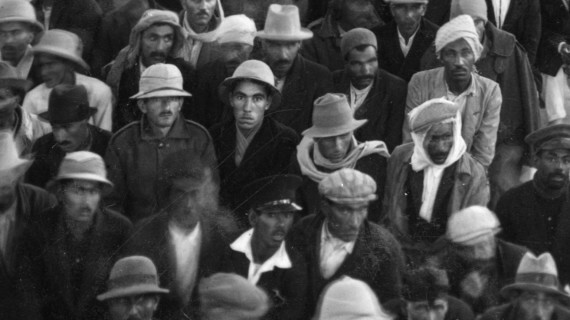 Miranda Pennell's new 60-minute film, The Host, delves deep into the BP archive to tell a gripping story that examines British colonial history in Iran and the birth of the Anglo-Iranian Oil Company. Chris Sharratt asks the questions. Miranda Pennell’s new film, The Host, uses still photographs and cleverly employed sound recordings sourced from the internet to document and critique the birth of BP in Iran – before changing its name in 1954 this now global energy corporation was known as the Anglo-Iranian Oil Company. 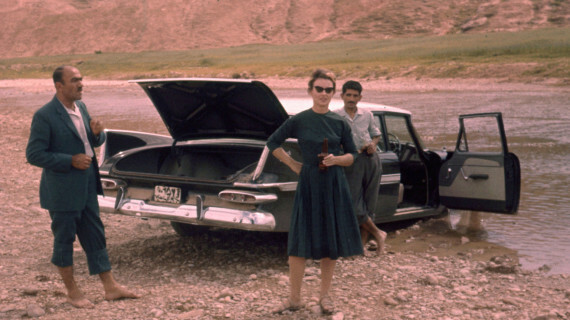 While drawing mostly on photographs from the BP archive at Warwick University, Coventry, it was actually family slides documenting her father’s posting to Iran in the 1960s as an employee of BP that started the research process. Pennell came across the photographs following the death of her mother, her father having died much earlier. “I knew this was a troubled history and I thought it would be interesting to explore it, and specifically address my position in this history,” she says. 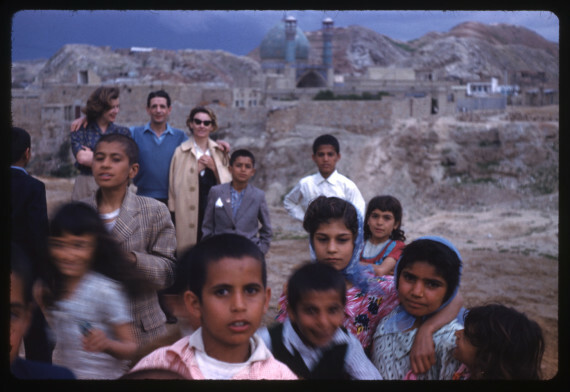 A young child when she briefly lived in Tehran, Pennell has little personal recollection of the time. 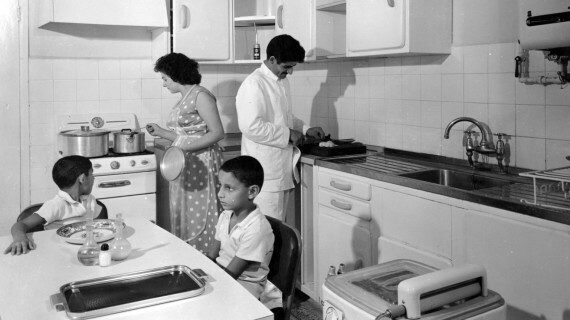 In the film, we primarily glimpse insights into the life of BP’s British employees through the woman who partly informed the film’s title, a contemporary of Pennell’s parents who hosted many corporate parties in Tehran during the late 1960s. 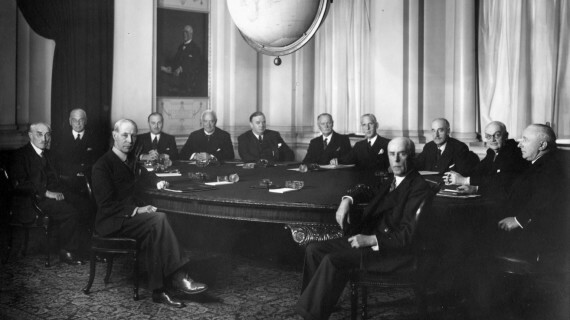 The film’s title also refers to the fact that, for much of the 20th century, Iran was a host nation to the British, alluding to the parasitic, colonial nature of the relationship. It is this, rather than personal memories, that the film is most interested in. The film is an exploration of colonialism and its legacy, but it’s also quite personal – and the fact that you narrate it accentuates your place in this history. I think the fact that I have a stake in the story has an affect on how you watch the film, yes. What I realised was that not only am I bound up in the story because of my family connections, because I was physically there, but I also through me being in the archive piecing together this history. Even this process is part of that history and history is being remade all of the time. The film very much doesn’t allow those things to remain separate, it knits it all together. In the beginning I didn’t want to put myself in there – I don’t like hearing my own voice – but it became evident that the critical point of the film is the fact of me being inside it, despite my ambivalence about that. That connection between then and now, and the sense of you mining an archive for clues and pointers, comes across very strongly in the film. That’s heightened by the use of still images throughout the film. I first used still images and sequenced them like film in Why Colonel Bunny Was Killed (2010). I found it a very compelling process. Photographs have a peculiar power to them when you’re thinking about time and history, which for me makes it a really appropriate medium to work with. A difference between that film and The Host is that with that with Colonel Bunny the archivists were in control of the process of scanning the images. With this film, I had an agreement whereby I would do the physical labour of the scanning of the images – basically because I wanted so many of them and they couldn’t cope. And that meant that I was much more aware of the outside of the frame, the underneath the photograph, the back of the photograph, the cover of the album; so those things became a part of the film, I wasn’t just inside the photographs all the time. I wanted every now and again to pull out of the space of the photograph and remind the viewer that I’m sitting in an archive and looking at an image. A big part of what the film does is move between different spaces; you have a moment of feeling like you’re within the space of the photograph and then you’re reminded this is just a small piece of paper stuck in an album in a room in an archive in Warwick. What was it like working with the BP archive? BP don’t exercise any censorship of how people interpret the materials; their only concern is to do with commercial interests which I think is probably about competitors. I think they were probably not used to somebody coming in and only wanting to look at pictures, and to look at a hell of a lot of them! Over the first six to seven months of my research in 2012 I made 15 visits to the BP archive at Warwick University; first viewing and then scanning the images. Was it difficult to find what you were looking for? Often what you’re looking for [in an archive] is the things that are in the backgrounds of the photographs, or you’re looking for evidence of things that may not coincide with the way that those photographs have been indexed. So it’s a bit of a puzzle and it’s very hard to know what you are going to get. My job is to look at what the images portray rather than what they show. You need to find a way to look sideways at them and that process happens by interweaving all the different kinds of imagery together. You use sound very inventively in the film; it seems to animate these still images. When I sequence a number of images in the timeline [of the film] they don’t really come to life for me until there’s some kind of sound, because the sound describes time and it also describes screen space. And I find that as part of the process I can’t actually gain a sense of rhythm in order to edit without putting the picture in some relation to sound; it starts becoming an image with time once I put sound on it. Of course, then I go on and refine that and sometimes I do remove the sound altogether. But the sound is giving a lot of the information, it’s influencing the perspective from which you look at the photograph. It’s doing a lot of work. While most of the imagery in the film is from Iran, it’s actually Britain and its denial – perhaps trauma – about its past that seems to be under the spotlight. I’m very aware of the contemporary perpetuation of a very selective [British] national memory – which is a problem, because in terms of having a shared world, understanding that these colonial pasts are shared histories is really important. I set out thinking about the trauma of the 20th century for the Iranian population but in the end the film is about the British, I think – the fact that our knowledge of colonialism, de-colonisation and how it shaped a British sense of collective identity is not something that’s acknowledged.